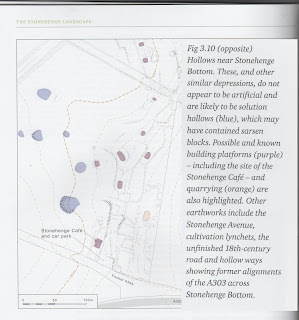 Against this is the absence from the landscape of smaller sarsens, in the landscape around Avebury, for instance, everywhere and every old structure has sarsens. 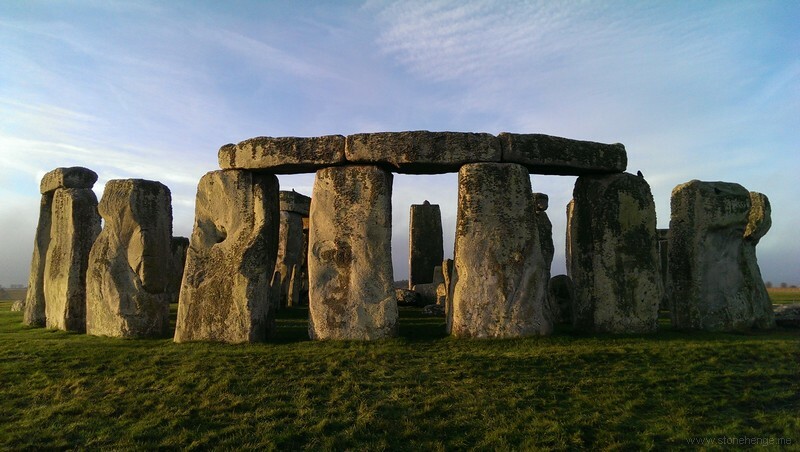 Around Stonehenge there are only a very few sarsen pebbles in the fields. 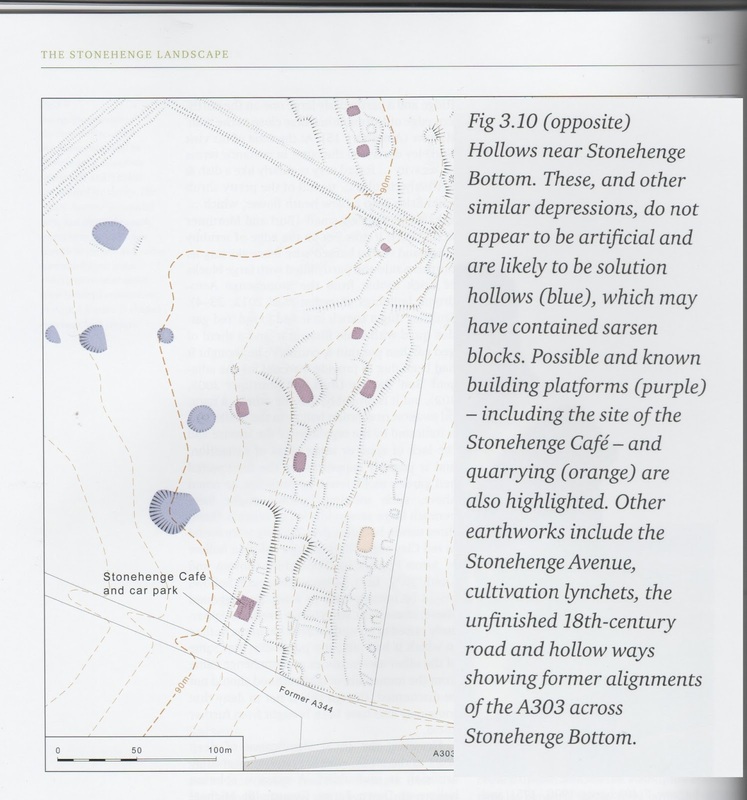 The Hidden Landscape project which scanned under the ground found none, below is their scan of the area in the diagram above. 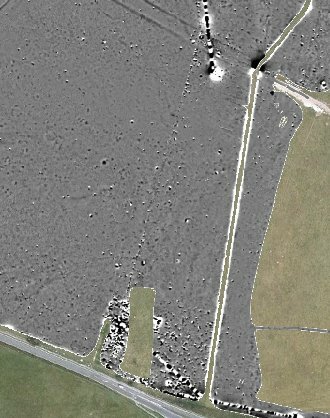 It wasn't just at Durrington Walls they didn't find buried sarsens. 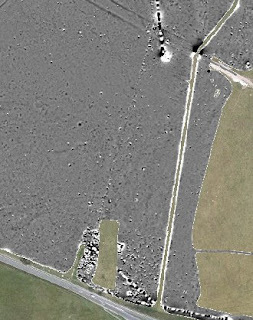 I think it is unlikely there were any large sarsens in any number near Stonehenge.